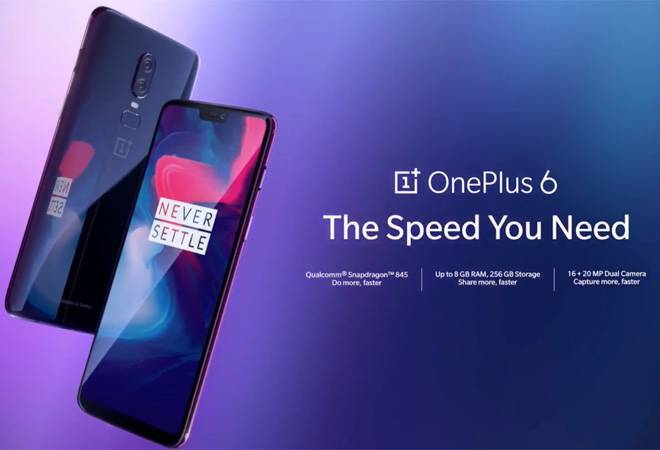 Just hours after the OnePlus 6 launched globally, the device has been unveiled in India. The company took the wraps off the device at an event in Mumbai. OnePlus has essentially launched three variants of the device. The mirror black finish, midnight black and the all new Avengers Edition based on the recent Marvel Cinematic Universe movie, Infinity War. The base variant comes with 6GB RAM and 64GB of storage at a price of Rs 34,999. The second variant comes with 8GB RAM and 128GB of internal storage and is priced at Rs 39,999. The company has not mentioned the mentioned the availabillity of a standard 256GB internal storage variant. The OnePlus 6 Avengers Infinity War special edition with a textured back and new colour scheme is priced at Rs 44,999. The device comes with 256GB internal storage and 8GB RAM. Fans of both Avengers and OnePlus can get a hold of the limited edition OnePlus 6 on May 29. OnePlus has also expanded its facilities in India by virtue of five new experience stores in India. Earlier, the company just had one in Bengaluru. Here interested buyers can experience the devices and meet fellow OnePlus enthusiasts. The company is expanding to 10 new exclusive service centres in India. The company claims it can resolve issues quickly with the help of trained staff in these new service centres.